Diana Pinckney is the winner of the Ekphrasis Prize, Atlanta Review’s International Poetry Prize and Prime Number Magazine’s 2018 Poetry Prize. 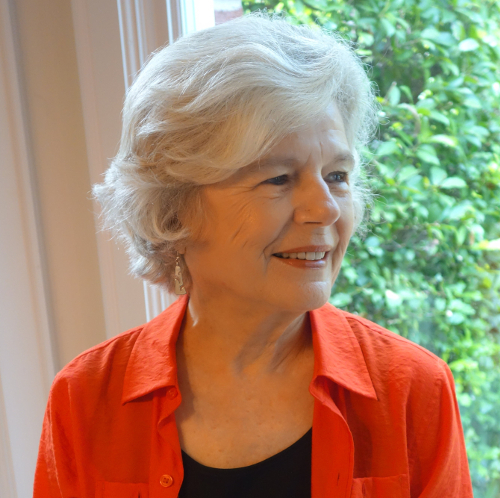 Published in RHINO, Cave Wall, Green Mountains Review, Tar River Poetry, The Pedestal Magazine, Still Point Arts Quarterly, & Connotation Press, and other journals and anthologies, Pinckney has five books of poetry, including 2015’s The Beast and The Innocent. and shorter. As she works, we talk. I answer. Do you? Oh, I have two girls. the sun. A little less on the sides, please. children. Do they live here, she asks. have a girl, too. Yes, I answer, it is good.